Our uniqueness is derived through relational services. Not only with our clients, but also with our engineering team and our subcontractors. World class expertise coupled with construction excellence and a dedication to safety. We don’t build everything but we do build everything well. Regardless of the discipline being addressed, our cradle to grave approach has us there wherever your need may arise. The natural progression of services in each of these areas is roughly defined as follows and can be picked up where you need the support. Assessment – While many of our clients have multiple facilities, a good first step is to assess each property individually. REICS is intimately familiar with a wide range of proprietary software systems to manage this data. We can help you pick the one that best suits your individual needs. Evaluation – Trained and experienced staff assess the condition, needs and longevity of the component/structure being assessed. CAD drawings and electronic photographs facilitate understanding by all parties. Nuclear moisture meters and thermographic tools are applied as appropriate. Water/Leak Testing – When necessary spray rigs and flood testing are incorporated into the process to further define needs and conditions. Design – Professional designers with unsurpassed experience work with our construction know how for “workability” to ensure the right things are included and the fluff is not needlessly cost into a project. Registered engineers consider Code compliance for drainage, insulation value, wind uplift resistance and selection of the appropriate/compatible materials. Bid – Bringing together a highly motivated group of contractors that have worked together on numerous projects is like marrying a brass section, percussionists and the violins. We create a symphony for the construction community. Build – Safety, cost, inconvenience, communication, and time are the remaining primary variables for a successful project. Our experience is what serves to fulfill the project needs in these areas. Management – Projects are closed out properly and fully. All loose ends are tied off and REICS can support any on-going management needs that may exist. With access to the largest contingent of Registered Building Envelope Consultants in the country we are adept at identifying the problem, determining the most cost-effective solution, assembling a talented group of high achieving contractors and bringing home a project on time, under budget and responsive to your specific needs. With roots in the roofing industry dating back over forty years ago, there isn’t much we haven’t seen. Our experience sets apart from all the others. Coupled with an unsurpassed technical know-how borne out by a nation leading list of registered roof consultants. Whether it’s a management program, replacement, new construction or asset management, we have the personnel and experience to deliver the project in accordance with your needs. 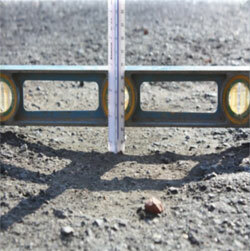 Optimize Pavement Performance to Reduce Repair Costs and Maintenance Requirements. Where appropriate we utilize the United Facilities Criteria (UFC) as developed by the US Army Corps of Engineers for pavement management systems (PMS). Proper maintenance of flexible and rigid pavements is crucial to realizing maximum longevity. Through assessment procedures a Pavement Condition Index (PCI) is developed and informed decisions can be made relative to repairing or replacing the pavement. Our relationship with the engineers and consultants dedicated to this field ensures timely, cost-effective solutions. Assess safety needs of a particular site or structure and design and build appropriate safeguards. One size doesn’t fit all in this industry. Neither does one manufacturer typically have all the necessary products to service a varied installation. 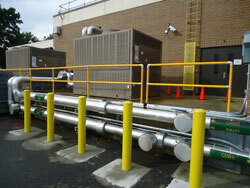 Past projects have included custom engineered solutions on both rooftops and elevated dock areas. Typical installations include exterior caged access ladders, fixed anchor points, parapet wall crossover access between roof sections and non-penetrating safety railings. 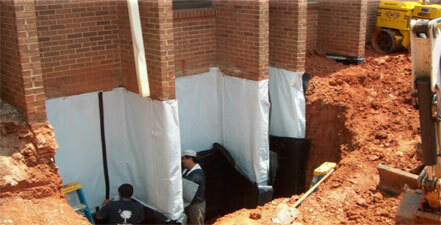 Our fall protection can be designed and installed for virtually any condition.